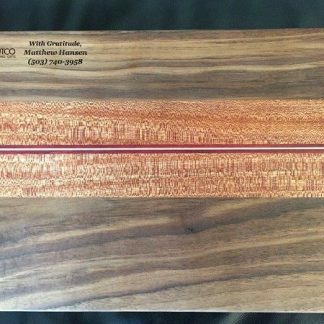 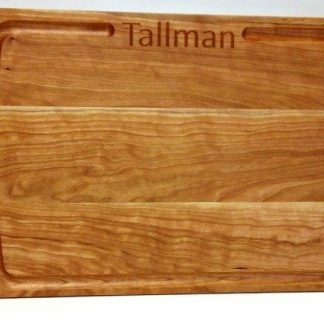 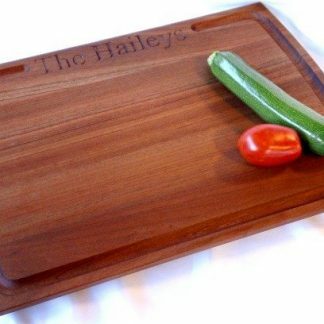 Our Chef’s Board in cherry measures 14″ x 20″ and is a hefty 1.25″ thick. 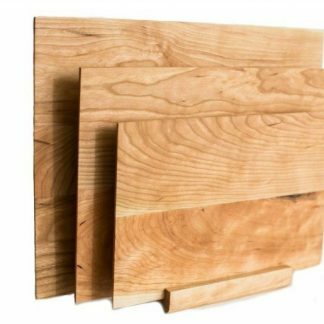 The rich color of cherry is a timeless classic in the American kitchen. 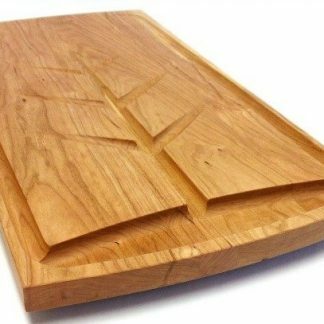 It’s gently curved ends and beveled edges make it both attractive and easy to handle. 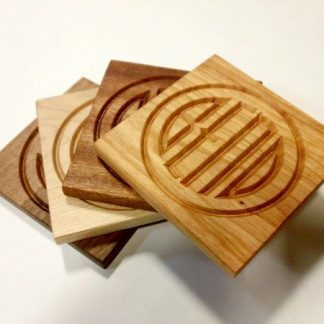 A perimeter juice groove is broken only by your family name, engraved along one side. 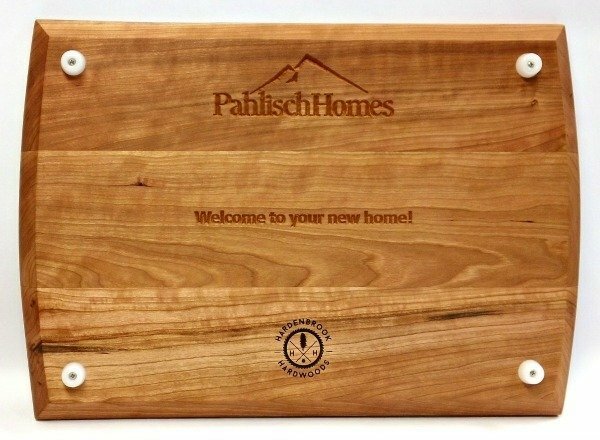 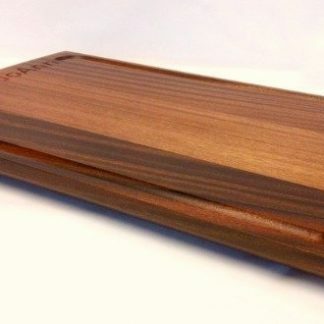 Like all of our cutting boards, it is finished with a food grade blend of mineral oil and beeswax. 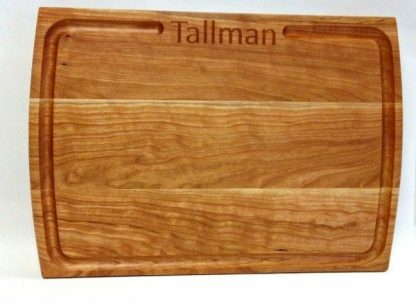 Our Chef’s Board in cherry measures 14″ x 20″ and is a hefty 1.25″ thick. 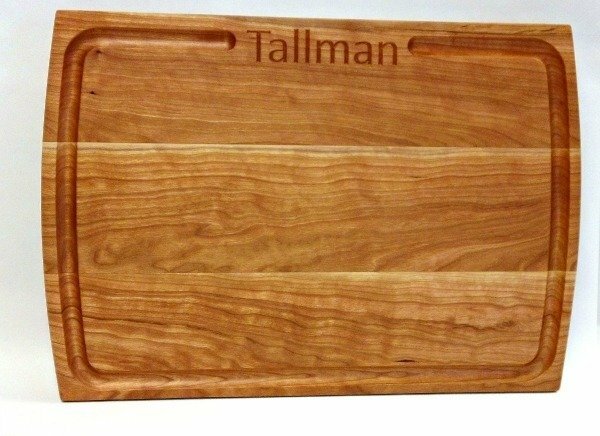 The rich color of cherry is a timeless classic in the American kitchen. Its gently curved ends and beveled edges make it both attractive and easy to handle. 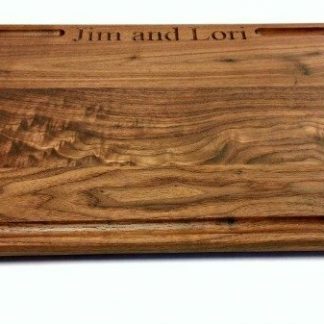 A perimeter juice groove is broken only by your family name, engraved along one side. 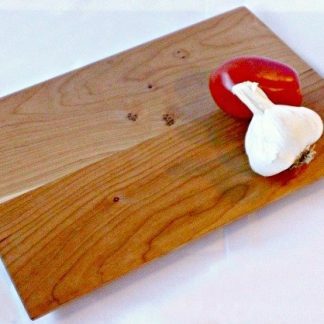 Like all of our cutting boards, it is finished with a food grade blend of mineral oil and beeswax.